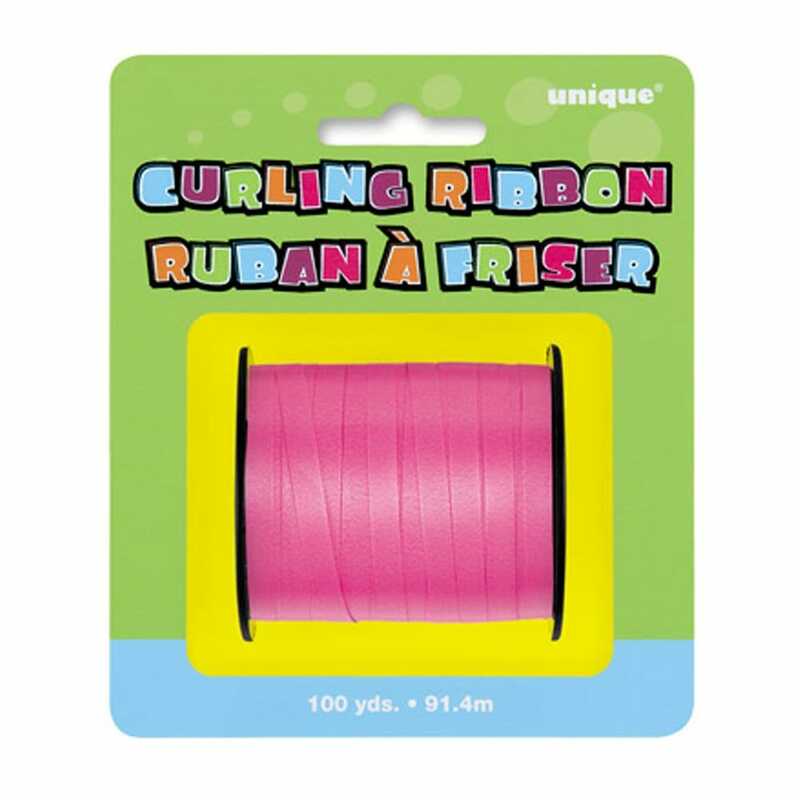 Decorate in style with this bright pink curling ribbon! Use this 100 yds of pink ribbon anywhere you need it. Use it to decorate the presents, around the champagne glasses, napkins anywhere really! Run a sharp edge along it and it will curl beautifully. Perfect for balloon decorating too. Review - Great quality. Will be able to use the reel for a long while! Great quality. Will be able to use the reel for a long while!